Add a little personality at your front door. 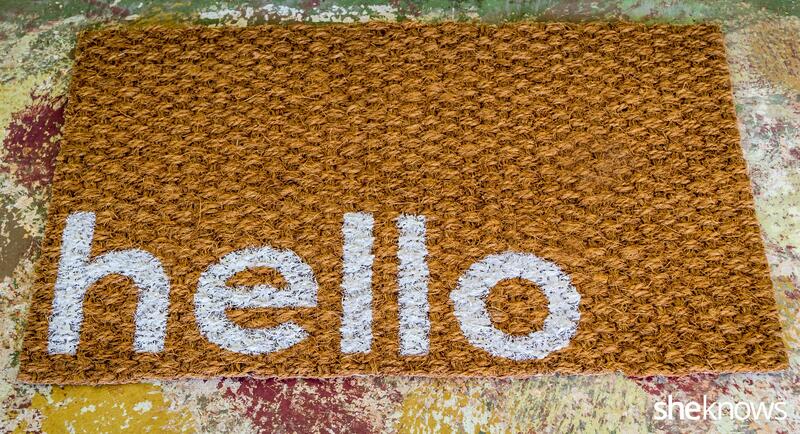 This easy do-it-yourself welcome mat is a cinch to create in about an hour. It’s easy to customize with your own message, fonts and paint colors. 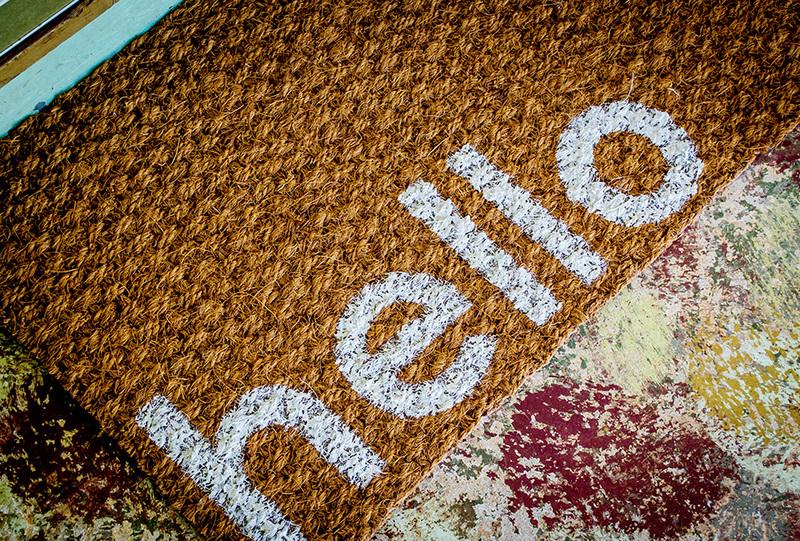 Pick out an inexpensive mat and turn it into an inviting message for your front door. 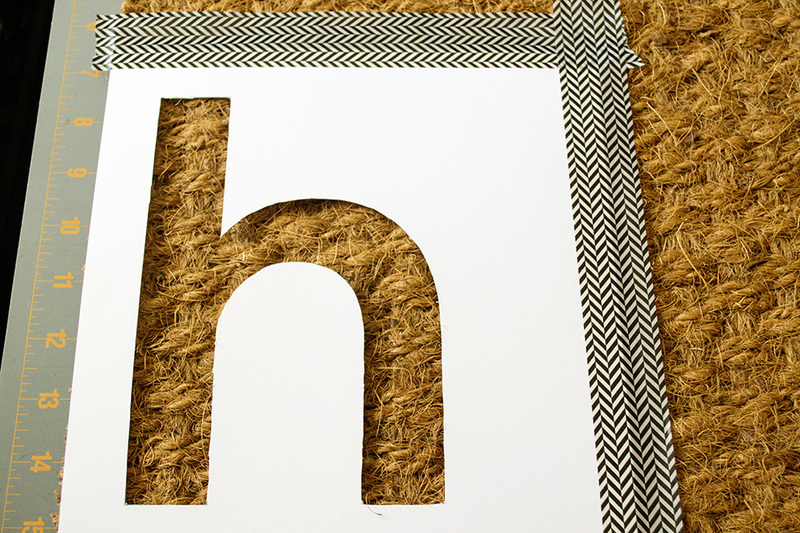 Using a word processing software, type out your doormat message. I used a modern font and used lowercase letters. I then increased the font size by 700 percent. Play around with size and different styles of font until you find one you love. Print them out onto the card stock. 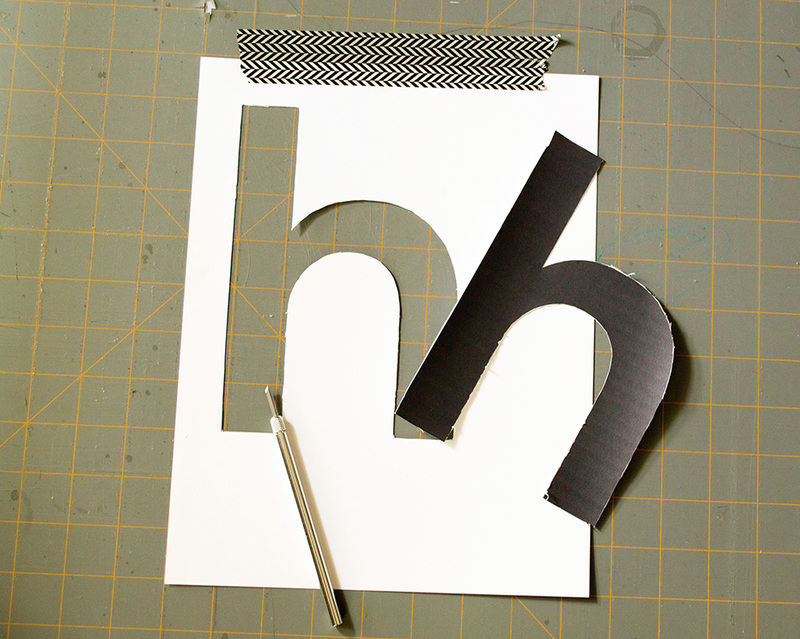 Carefully cut out your letters with a craft knife. Go slow and make sure you cut as close to the black lines as you can. The white or negative space will be your stencil. I found it easier to cut with the paper taped down on my mat. The tape will keep the paper in place while you cut. 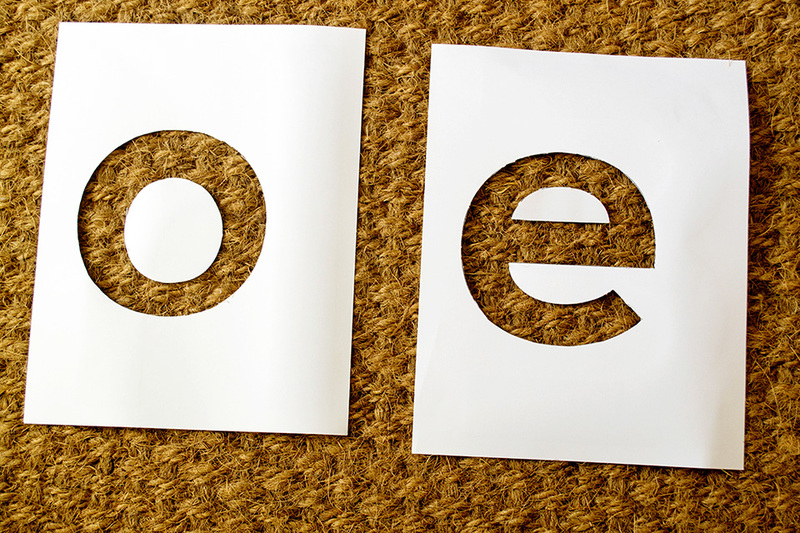 For letters like “e” and “o” you will have to cut out the white spaces in the middle of the letters. Hang onto those pieces. You will need to tape them down to the doormat before you paint. Once you have your stencils cut out, line them up on your doormat. I decided to line my message up on the bottom left corner. Tape down the stencil with masking or painter’s tape to help hold it in place. Load your paint brush with some paint and start painting in the cut out areas. 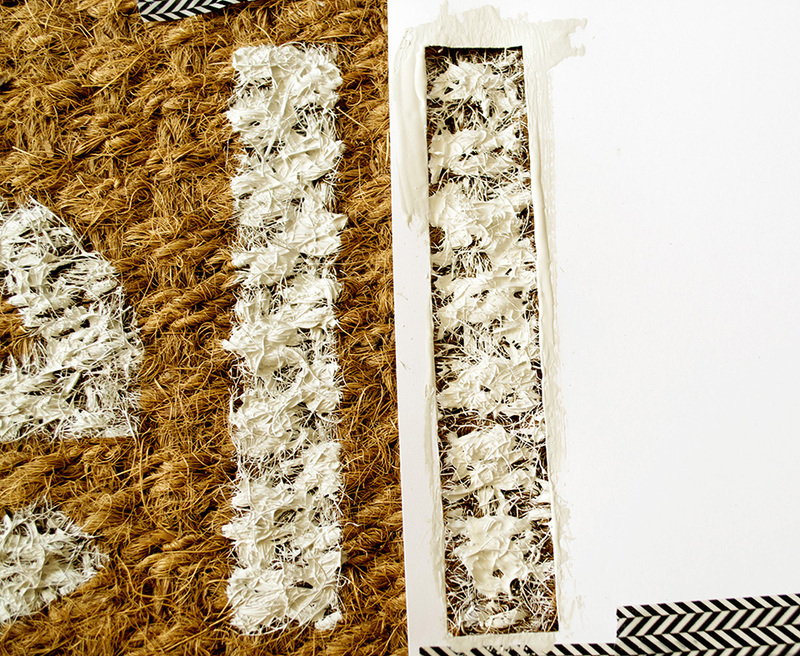 Natural fibers absorb a lot of paint, so you may need to apply more than one layer. Let the paint dry before you line up the next stencil. Add the next letter. Make sure the bottoms of the letters are lined up with each other. 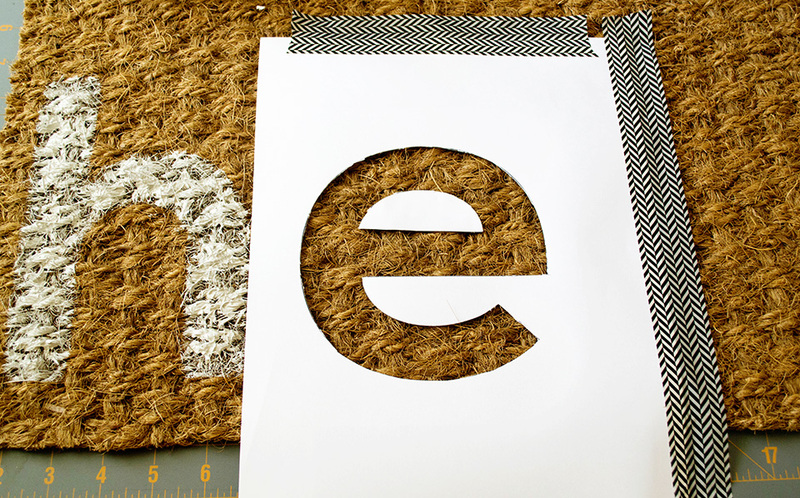 Remember to tape down that extra white part for the letter “e.” Paint away! 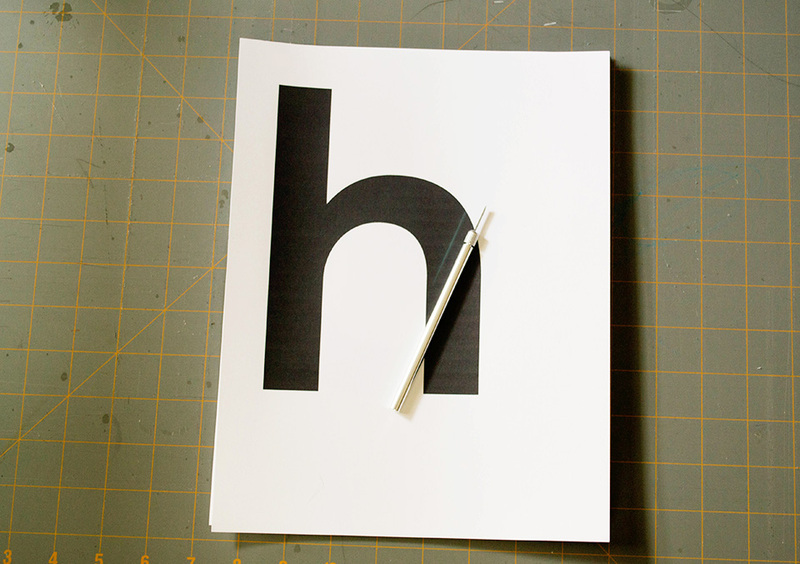 If your letters seem like they have gaps in the paint, don’t stress. Wait until you have painted all the letters and let it dry. Then you can go back and fill in some of the holes with additional paint. Let the paint completely dry and place in front of your door. Anyone will feel welcomed with this doormat!